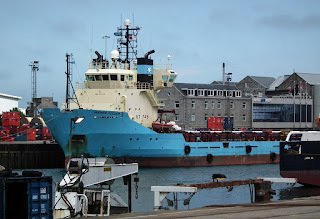 Supply vessel Maersk Feeder in Aberdeen Harbour 17 June 2013. 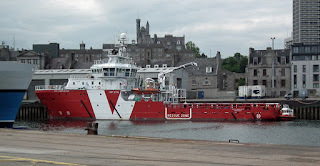 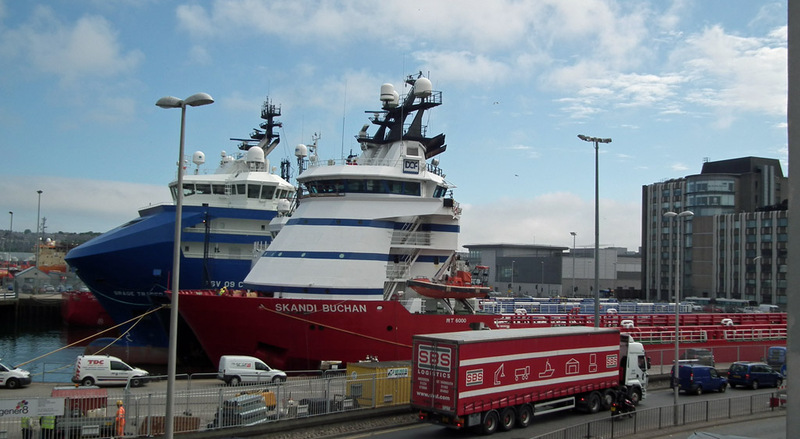 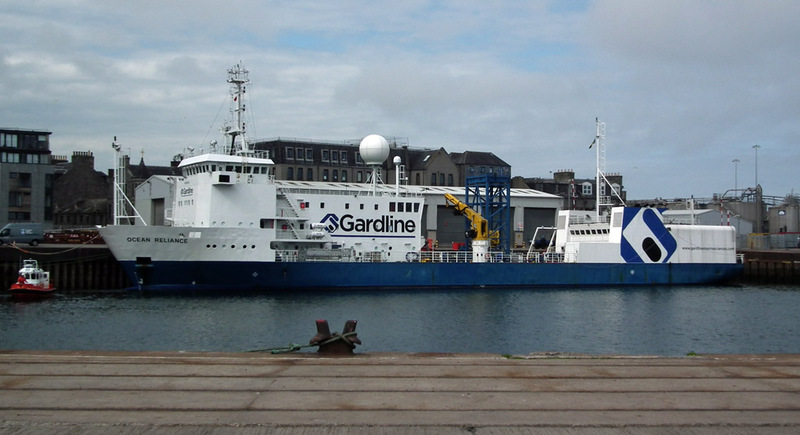 Survey vessel Ocean Reliance in Aberdeen Harbour 17 June 2013. 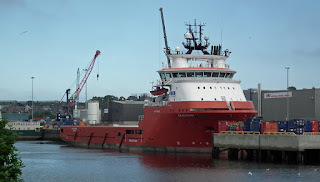 Supply vessel Vos Endeavour in Aberdeen Harbour 17 June 2013. 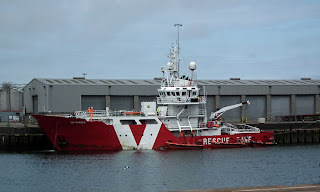 Standby safety vessel Vos Ranger in Aberdeen Harbour 17 June 2013. 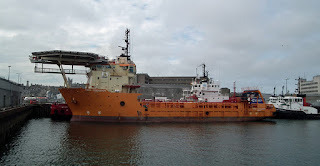 Supply vessel Toisa Conqueror in Aberdeen Harbour 17 June 2013. Supply vessel E. R. Georgina takes on stores at the mouth of the Dee 17 June 2013.